REIA's mission is pretty simple: provide quality education and networking opportunities along with top notch Business Members, REIA Member Benefits and other resources to help Members achieve their real estate investing goals. You had an idea, read a book, attended a seminar or finally want to take action on a long-time goal to begin investing in real estate. Alternatively, you have been treading water in your real estate investing business with no recent measurable growth in spite of your best intentions. Now what? 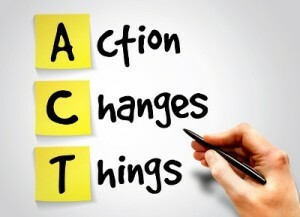 It's time for you to TAKE ACTION! While not every class listed may be essential for you to take, the class and meeting schedule is very much meant to work together. We have by no means listed each of the nearly 80 REIA Events on schedule this year but here is a short version of opportunities at REIA Classes to help you get started or keep moving forward. Many of REIA's classes cater to new and wanna be investors while many others - at minimum one class per quarter - cater to active, more experienced investors. It's up to you to decide! Everett REIA Class and Tacoma REIA Class topics are duplicated, occasionally with different speakers, often within the same month! Visit the REIA Calendar of Events for additional meetings and classes! PLUS additional REIA Classes, REIA Main Meetings, Everett REIA Chapter Meeting, Tacoma REIA Chapter Meeting, Seattle REIA Commercial & Multi-Family Chapter Meeting along with the REIA Semi-Annual Networking Event, lots of incredible REIA Business Members to build or grow your team and Discussion Groups and a Member Forum to sort it all out! REIA offers meetings and classes to acquaint you with potential members for your real estate investing team and education and networking in creating your real estate investing business, many specific methods of real estate investing, related laws and much, much more! REIA Membership Dues and class pricing are very affordable - among the lowest pricing in the nation - to help keep costs low in your growing business! Roll all of those educational and networking elements along with the team members you meet in the process, work hard and stay focused and your likelihood of reaching your real estate investing goals sooner rather than later increases substantially! If you are ready to devote yourself to getting there REIA will do everything we can to help! Clear your calendar, get out of your home office into the larger real estate investing community, put your distractions and excuses behind you to participate in all that is available and GET THIS DONE! It's time to stop dreaming whether it's about your first or 100th deal and take action! 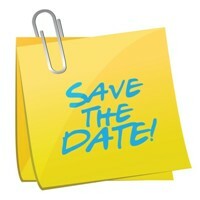 We look forward to seeing you at the next REIA Event! REIA Meetings and Classes are typically taught by REIA Business Members, local professionals who are experts in their fields, governmental agencies and local, active real estate investors. No products or services will be sold.